Members of the Sudbury & District Round Table descended on Kernos on 19th May to make a co-ordinated attack on the overgrown and long-neglected courtyard garden at the Centre. 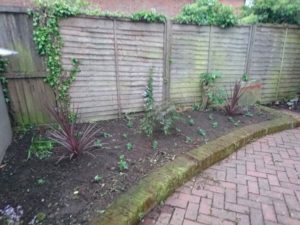 Some time – and much hard work – later, all the overgrowth, weeds and accumulated rubbish had been cleared and the garden had been transformed! 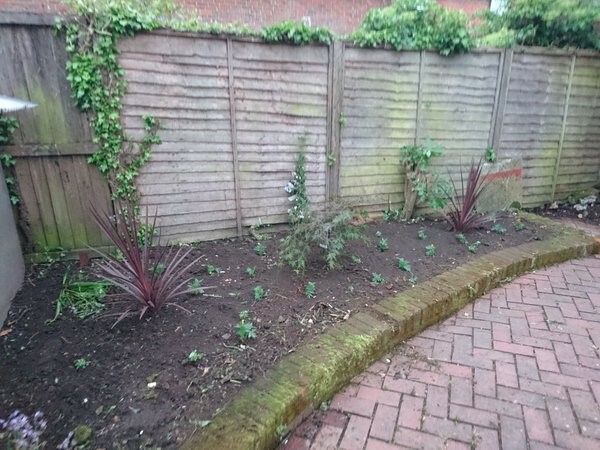 Fresh plants, kindly donated by Homebase, had been added to the newly re-instated flower beds, including jasmine – with its wonderful summery smell – and lavender, which is well-known for its healing properties. 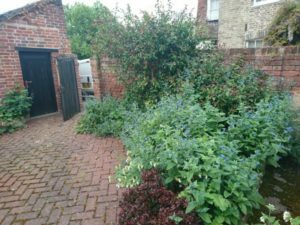 As a result, and with summer coming, the courtyard is now a peaceful, aromatic haven that will be a benefit not only to our clients but our counsellors too. In thanking Steve Burton and his Round Table team for their tremendous voluntary effort, Chris Boatwright, Clinical Director of Kernos said: “We are so grateful to you and your Round Table members for their time and all their hard work, which has transformed our courtyard garden into a place that our clients and counsellors can all enjoy – it is very much appreciated!